← Configure your Outlook 2010 Client with Gmail…. 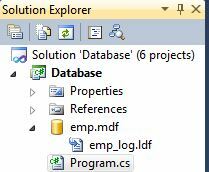 How to create a SQL Connection in C Sharp………. Posted on January 29, 2012, in C#, Knowledge. Bookmark the permalink. Leave a comment.